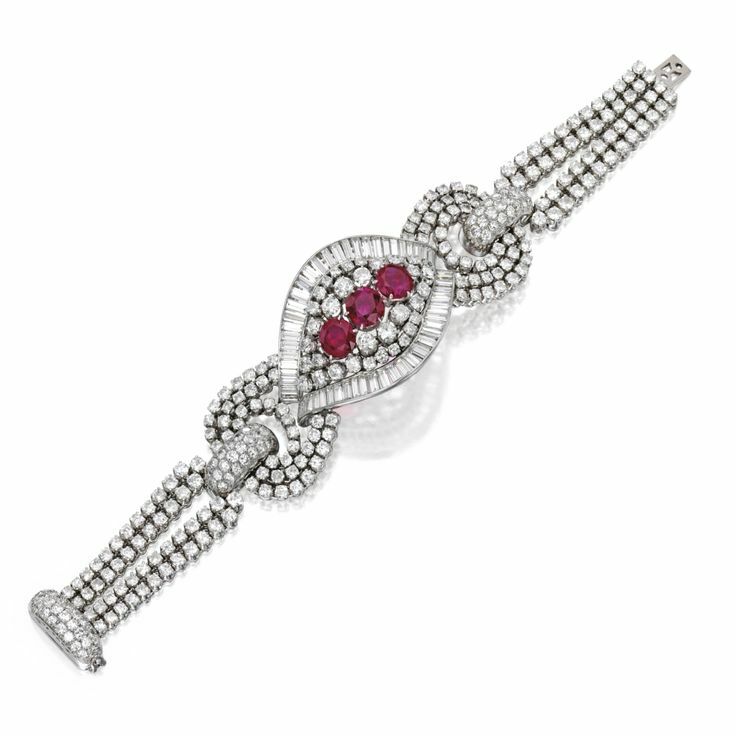 Platinum, Burmese Ruby and Diamond Bracelet. Estimate 80,000 — 100,000 USD. Photo Sotheby’s. 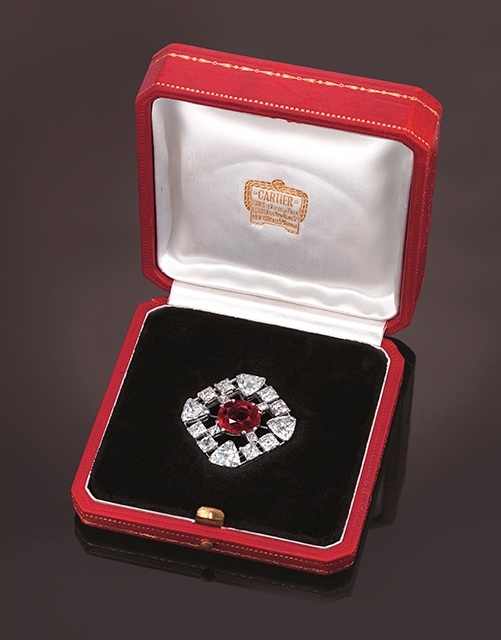 Centered by three round rubies weighing approximately 9.05 carats, further set throughout with round diamonds weighing approximately 22.65 carats, length 7 inches. Accompanied by AGL report no. CS 62515 stating that the rubies are of Burmese origin, with no indications of heat. Pair of Platinum, Gold, Burmese Ruby and Diamond Earrings. Estimate 125,000 — 175,000 USD. Photo Sotheby’s. 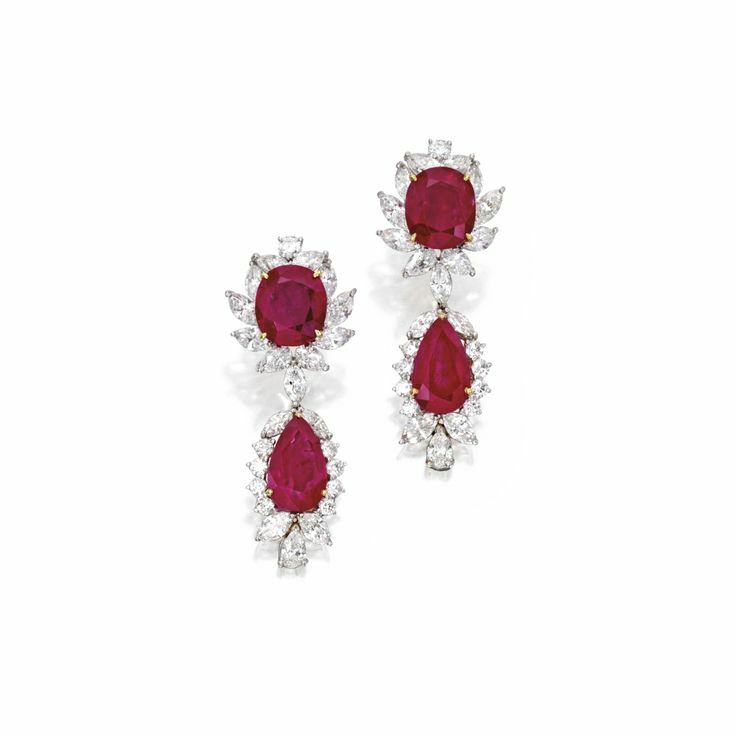 The tops set with two cushion-shaped rubies weighing 10.83 and 10.03 carats, suspending two pear-shaped rubies weighing 8.37 and 7.08 carats, accented by round, pear and marquise-shaped diamonds weighing approximately 9.20 carats. Accompanied by AGL report no. 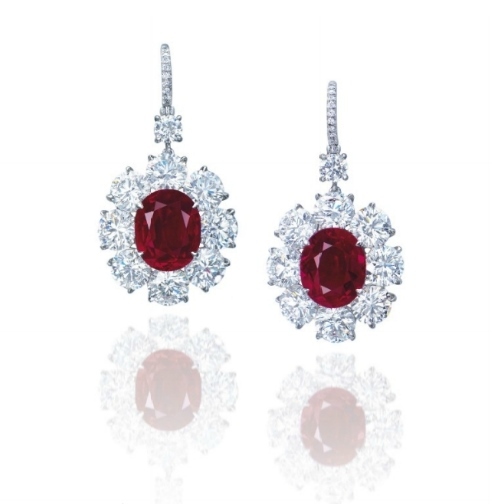 CS 55174 A and B stating that the rubies are of Burmese origin, with indications of heating. 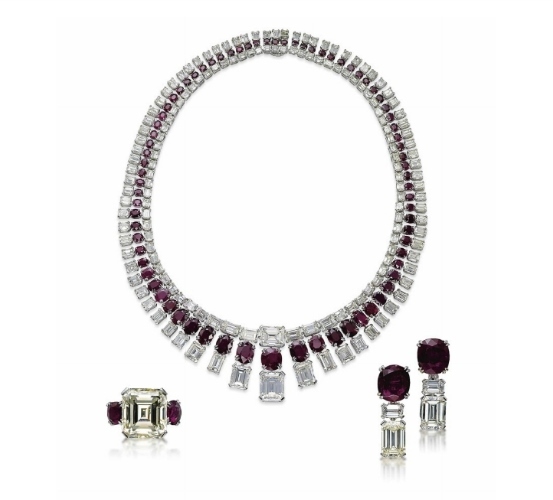 A set of ruby and diamond jewellery, by Jahan. Price Realized: CHF1,025,000($1,061,200). Photo: Christie’s Images Ltd 2014. A Burmese ruby and diamond ring. Price Realized: CHF905,000 ($936,962). Photo: Christie’s Images Ltd 2014. 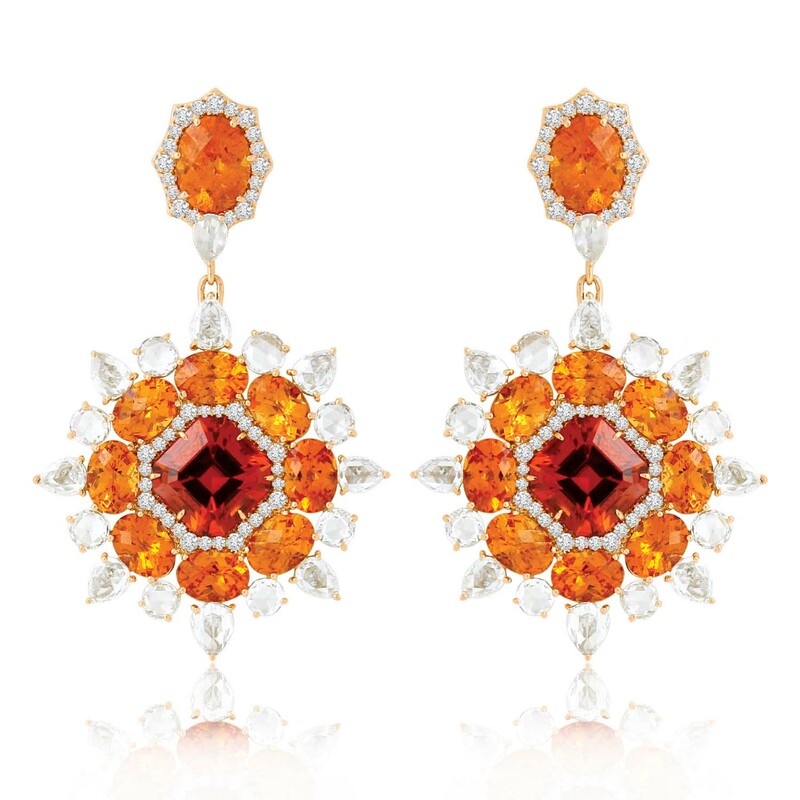 Sutra earrings with Mandarin garnets and diamonds in white gold. 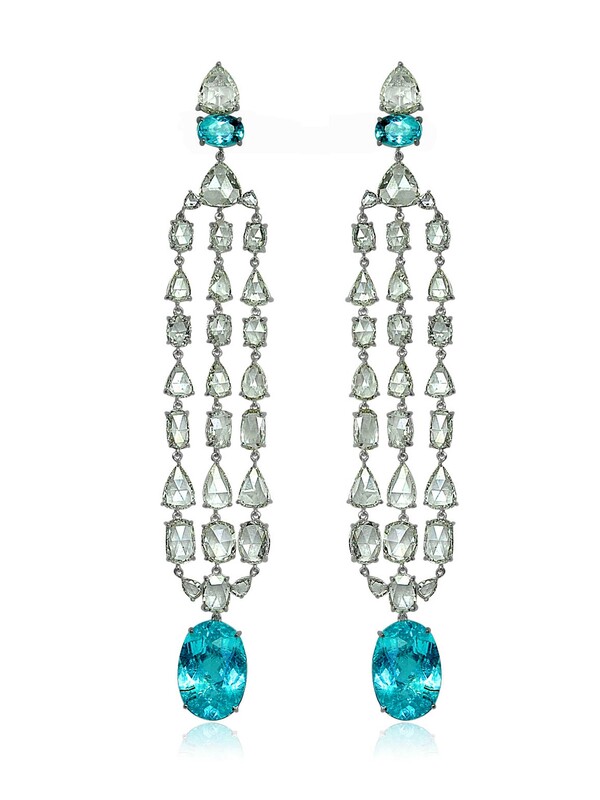 Sutra earrings with Paraiba tourmalines and rose-cut diamonds in white gold. 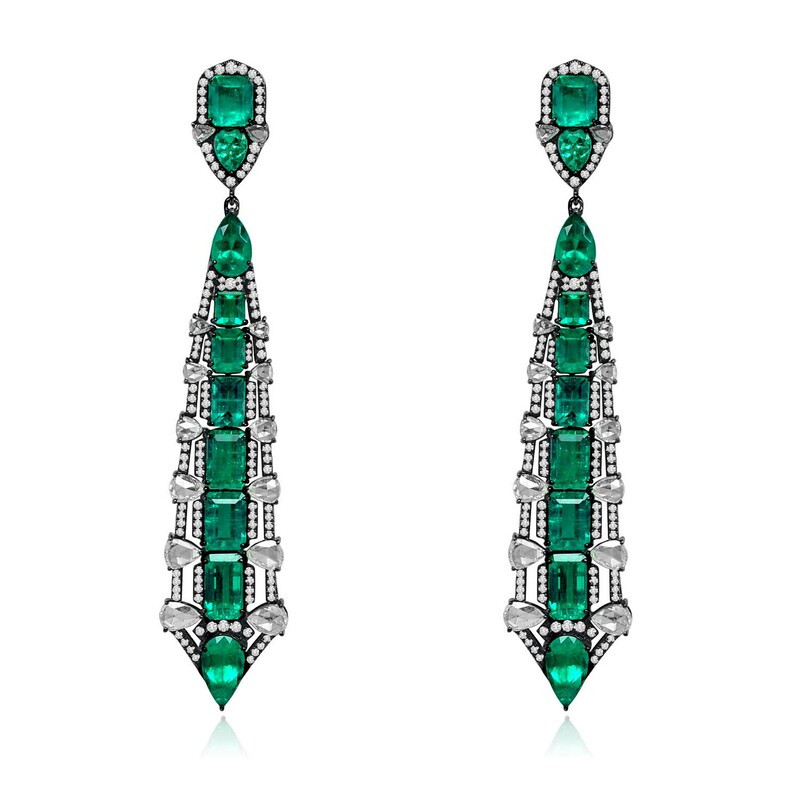 Sutra earrings with emeralds and diamonds in black gold. 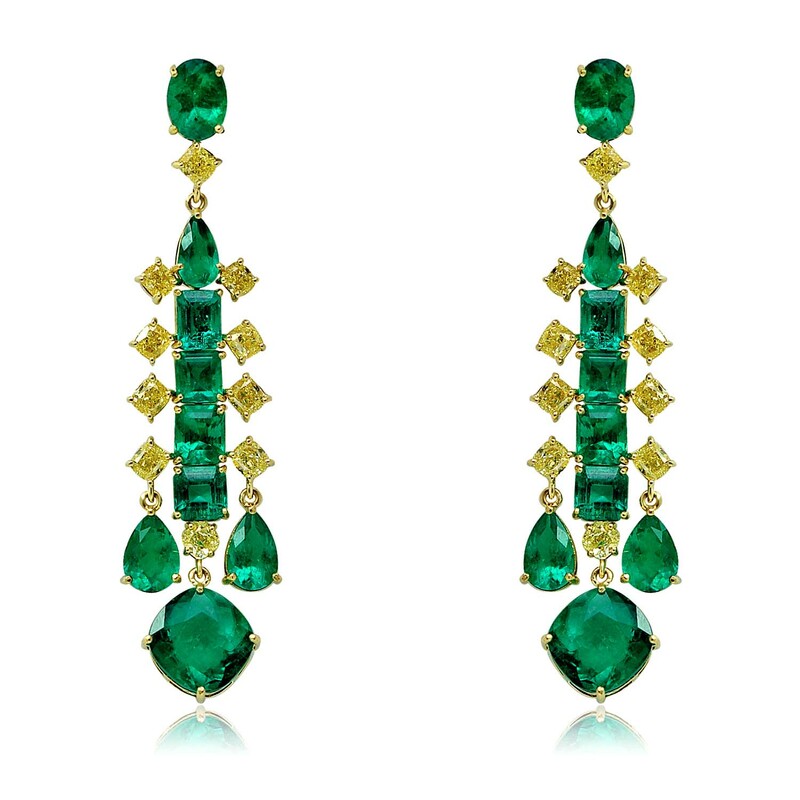 Sutra earrings with Colombian emeralds and canary yellow diamonds in yellow gold. 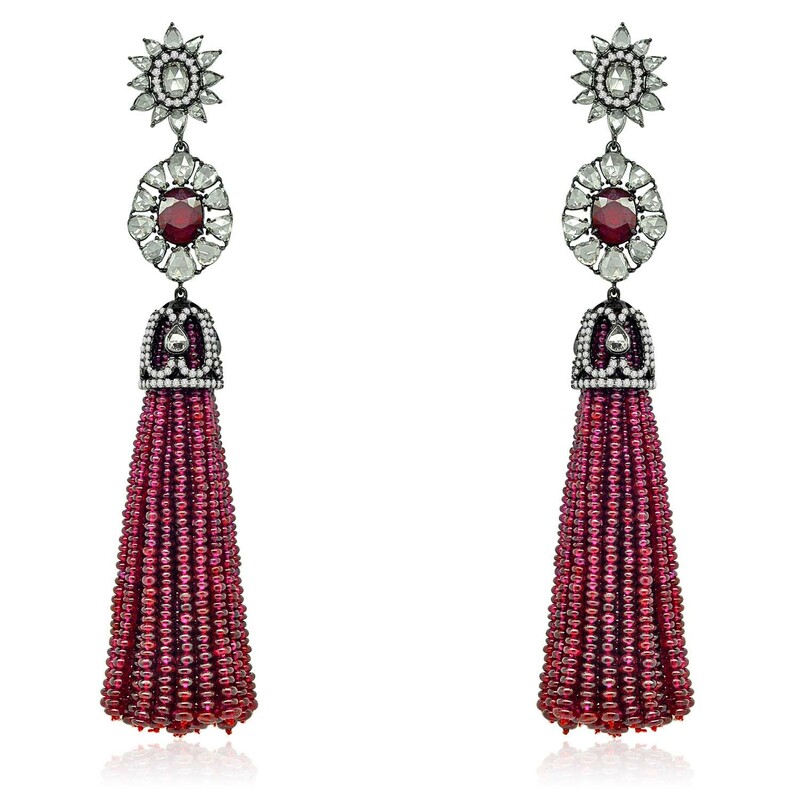 Sutra ruby bead tassel earrings with Burmese rubies and rose-cut diamonds in black gold. Sutra diamond earrings in white gold. 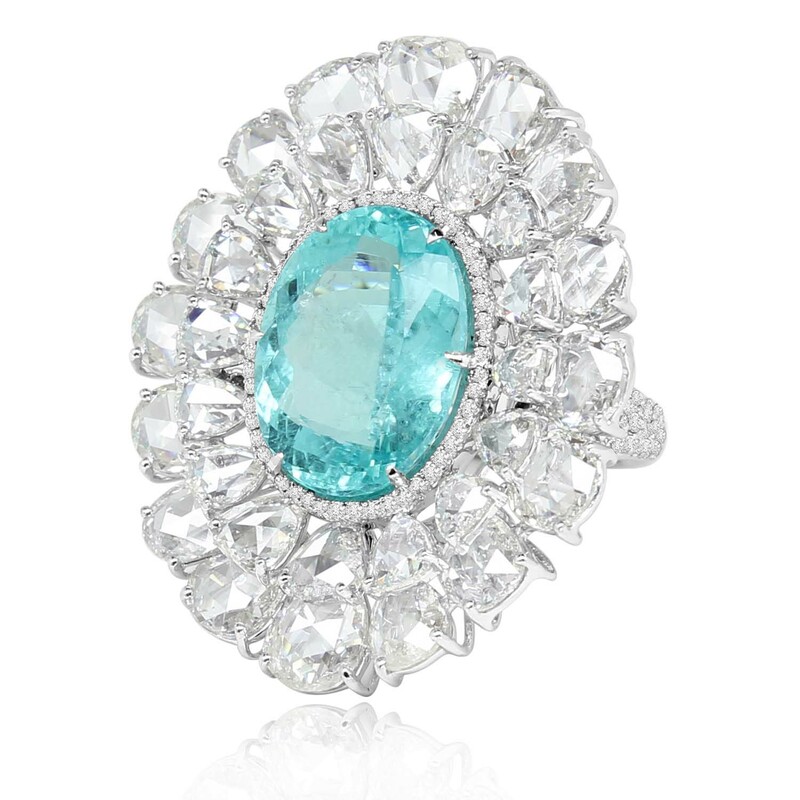 Sutra ring set with a Paraiba tourmaline and rose-cut diamonds, encircled by a diamond halo, in white gold. Sutra sapphire and diamond cocktail ring in white gold. 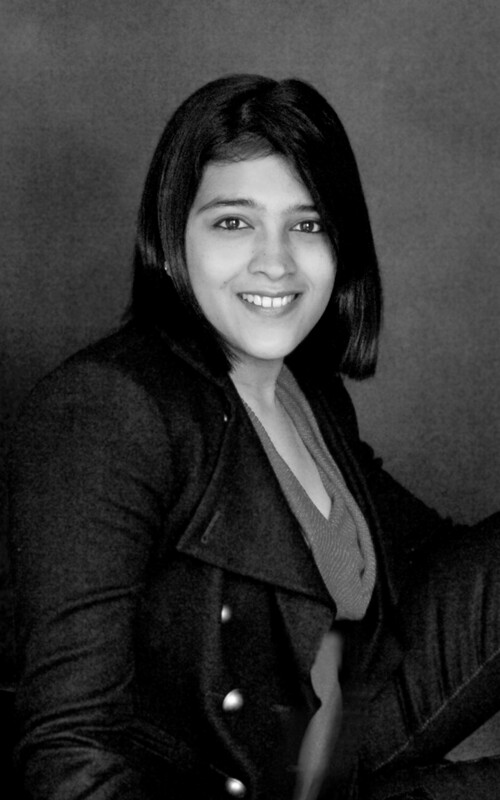 Arpita Navlakha, founder and designer of Houston-based Sutra Jewels. 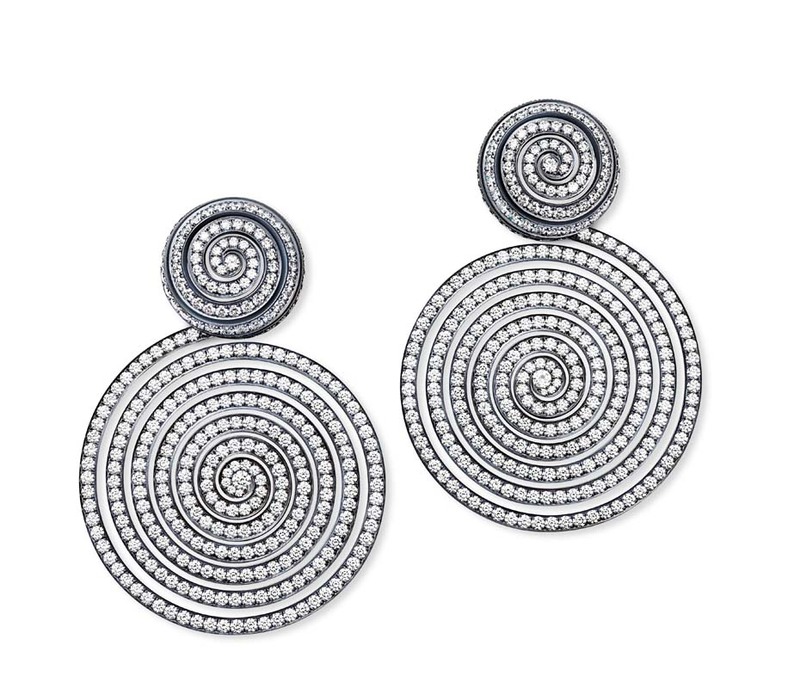 Hemmerle earrings in white gold with diamonds, sapphires and zircon. 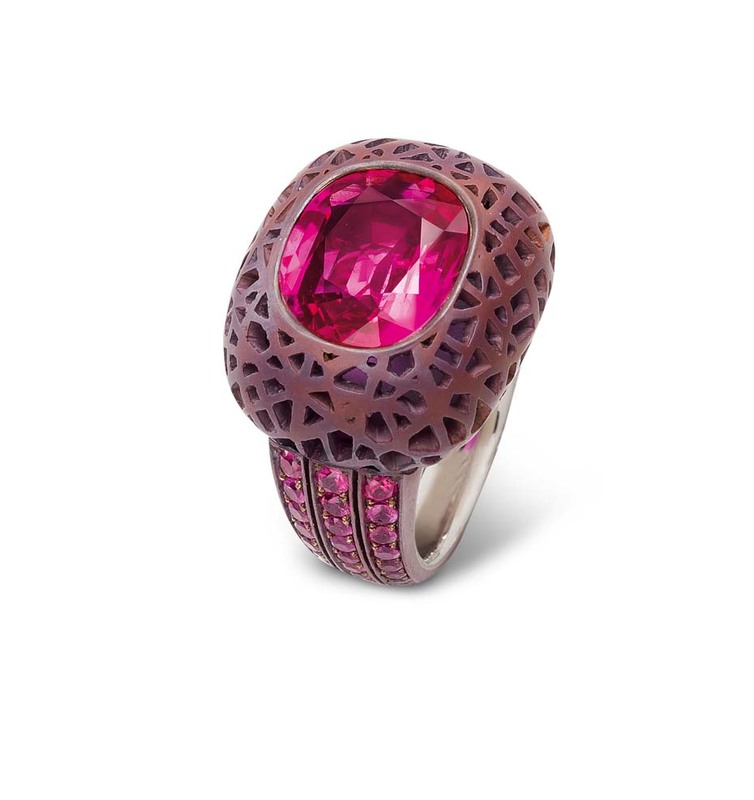 Hemmerle Burmese ruby ring surrounded by rubies set in copper and white gold. 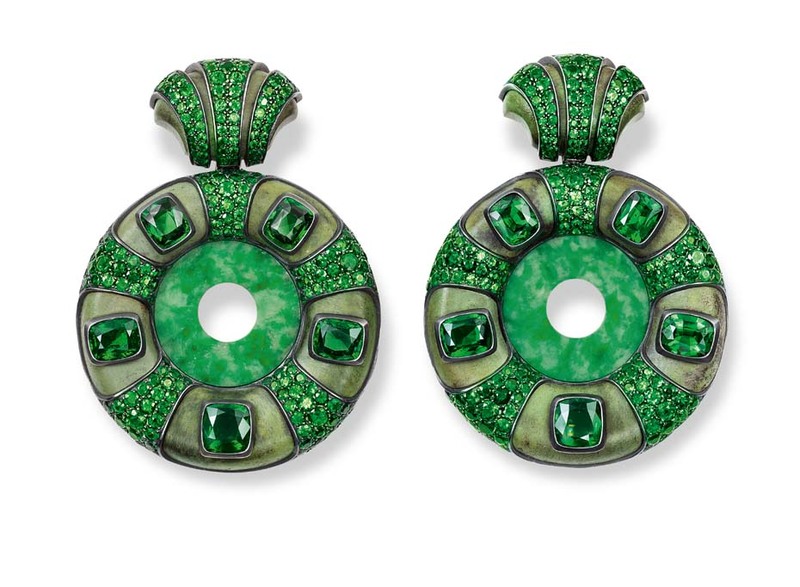 Hemmerle earrings with jade discs and tsavorites in silver and gold. 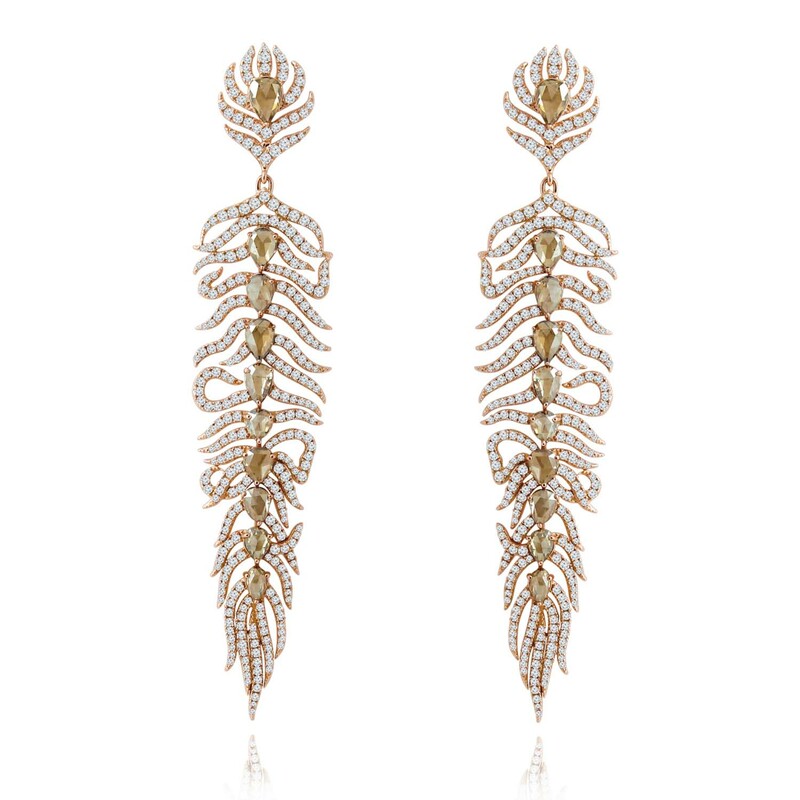 Hemmerle earrings in silver and gold with diamonds. 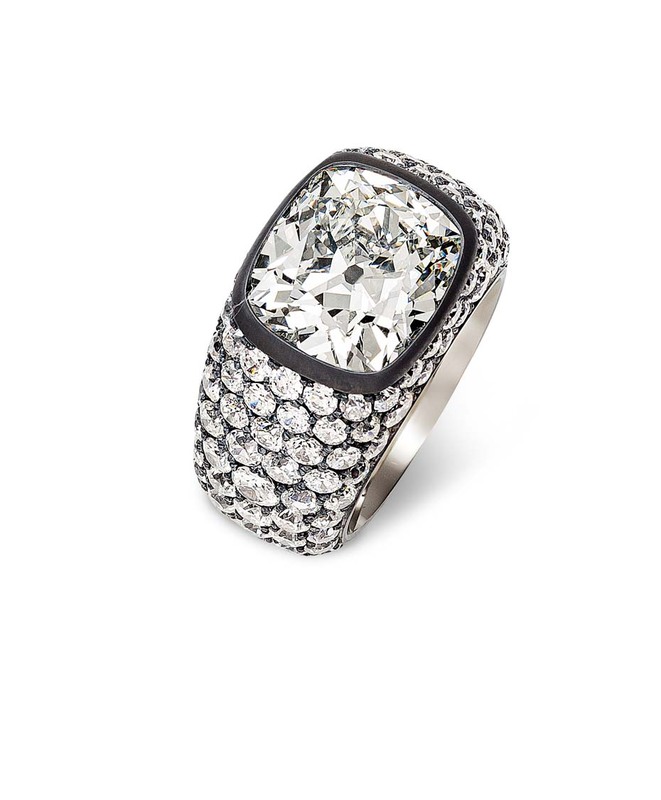 Hemmerle diamond ring in silver and white gold. 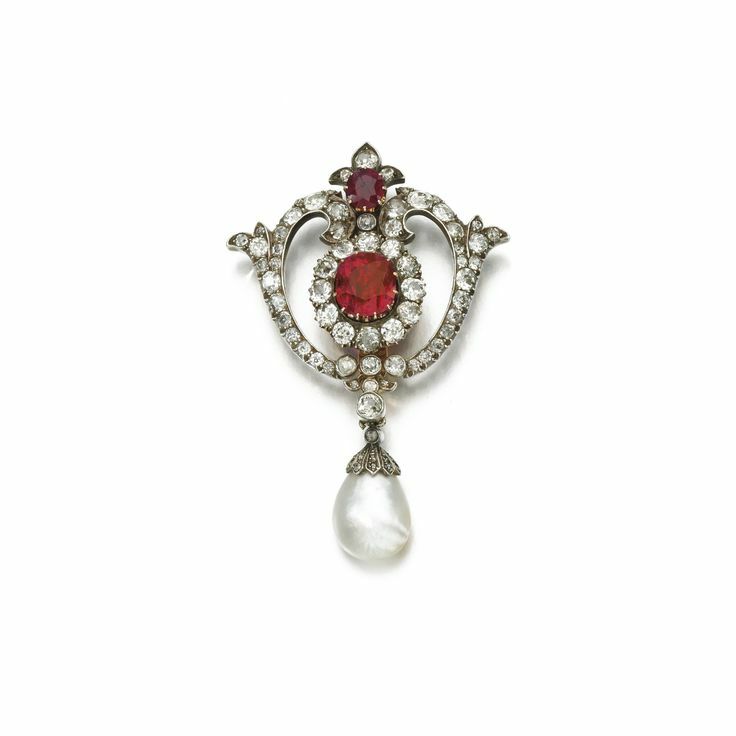 Natural pearl, Burmese ruby, synthetic ruby and diamond brooch, late 19th century. Estimation 12,000 — 18,000 GBP. Photo Sotheby’s. 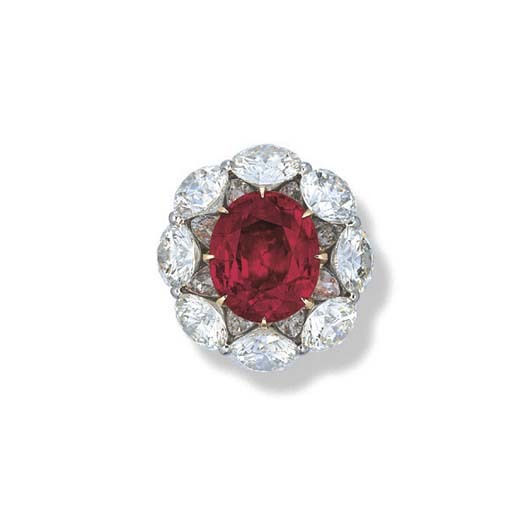 Of scroll design, set with a larger oval ruby and smaller synthetic ruby, circular-cut and rose diamonds and suspending a natural pearl drop, later pin fitting, two small rose diamonds deficient. Accompanied by SSEF report no. 73575, stating that the pearl was found to be natural, saltwater and the larger ruby was found to be natural, of Burmese origin, with no indication of heating. Centering a cushion-cut ruby weighing 7.99 carats, flanked by two shield-cut diamonds weighing approximately 1.35 carats, size 5¾. Accompanied by Gübelin report no. 0402525 stating that the ruby is of Burmese origin, with no indications of heating. 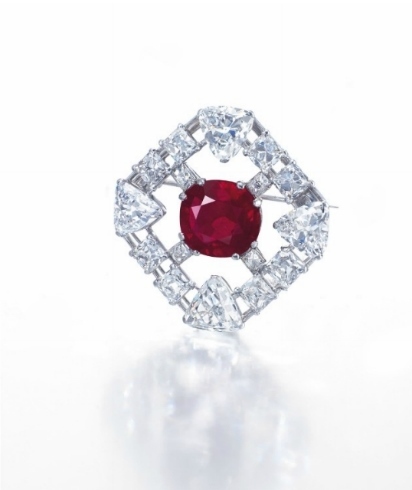 An extremely rare 10.10 Carats Burmese No Heat Pigeon’s Blood Red Ruby And Diamond Brooch, By Cartier. Estimate: HK$20,000,000 – HK$30,000,000 ($2,591,736 – $3,887,604). Photo: Christie’s Images Ltd 2014. HONG KONG.- This fall, Christie’s Hong Kong will hold its Magnificent Jewels sale on 25 November, presenting a spectacular spectrum of grand gemstones and jewels. 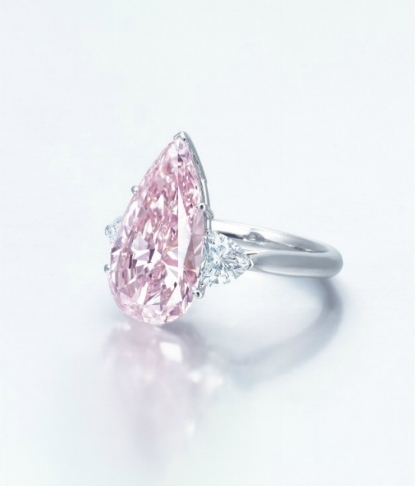 The sale consists of approximately 300 lots, estimated to fetch combined total of HK$650 million / US$80 million. Led by a 10.10 carats Burmese no heat pigeon’s blood red ruby, a 2.09 carats fancy red diamond and a 3.39 carats fancy vivid blue internally flawless clarity diamond, the auction also features a dazzling rainbow of coloured gemstones from Kashmir sapphires to Colombian emeralds, as well as a grand selection of multi-coloured diamonds. Further complementing the sale are a pair of sizable jadeite cabochon ear studs and an important natural coloured pearl and diamond pendant necklace. The headliner of the sale is an extremely rare 10.10 carats Burmese no heat pigeon’s blood red ruby and diamond brooch by Cartier. Burma has the most valuable gem deposits and is particularly known for its magnificent rubies. 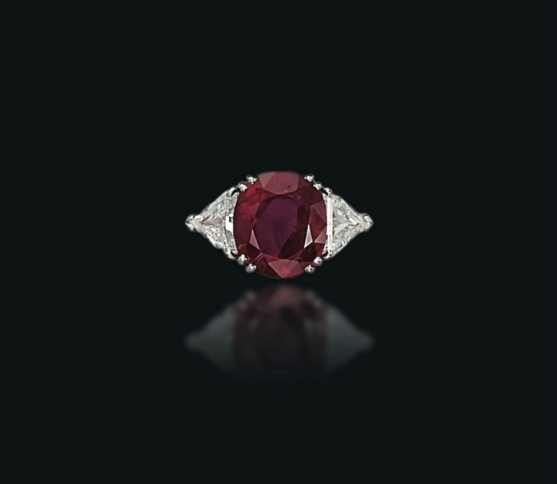 The well-known ―pigeon’s blood red‖ is the most desirable colour for rubies, representing the finest quality. Combining the glowing red material with a great degree of transparency, pigeon’s blood red rubies exist only in very limited quantities, and are the benchmark by which all rubies are judged. The present lot’s notable weight and grade make it an extra-astonishing gem. Accompanied by premium report No. 74530 dated 20 may 2014 from the SSEF Swiss Gemmological Institute stating that the approximately 10.00 carat ruby is of Burma (Myanmar) origin, with no indications of heating and the colour of this ruby may also be called ‘Pigeon’s Blood Red’ In the trade; Also accompanied by an appendix stating that the ruby possesses extraordinary characteristics and merits special mention and appreciation. The ruby exhibits a saturated and vivid red colour, combined with a fine purity and a very attractive cutting style. the tiny inclusions found by microscopic inspection represent the hallmarks of rubies from the classical ruby mines in Mogok Valley in Burma (Myanmar), well known for its wealth in gems since historic times. Its saturated red colour – poetically also referred to as « Pigeon Blood Red » – Is due to a combination of well-balanced trace elements in this gemstone, characteristic for the finest rubies from Mogok. The ruby has been spared exposure to heat treatment and its clarity and colour are thus all natural. A natural ruby from Burma of this size and quality is very rare and thus can be considered a true treasure of nature. One of the most classic gemstones, diamonds, is celebrated for their beauty, purity and superlative strength that stands the test of time. These sparklers are judged mainly by the four Cs—carat, colour, clarity and cut. Meanwhile, modern classification divides diamonds into two main types: Type I and Type II, with the latter, lacking in detectable nitrogen, into two groups – IIa and IIb. Type IIa diamonds are the most chemically pure form of diamonds. They are exceedingly rare, representing less than 2% of the world’s production of gem-quality diamonds. The most prominent lot in this section is a stunner of such calibre: a magnificent 50.62 carats Marquise-cut D coloured VVS2 clarity (potential) Type IIa diamond. 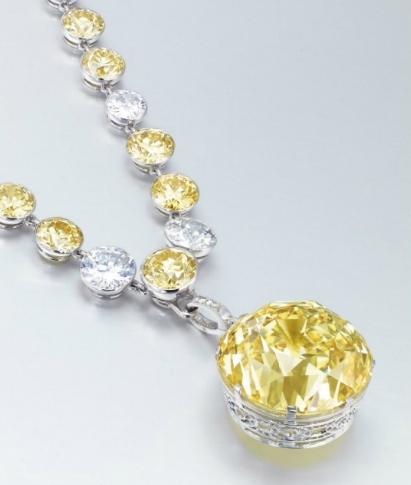 The sale also offers a diverse number of coloured-diamond jewels, including a unique Belle Époque 52.26 carats fancy intense yellow cushion-shaped diamond, a pair of 5.64 carats fancy intense green and 5.18 carats fancy intense yellowish green diamond earrings, as well as a fancy pink internally flawless clarity Type IIa diamond weighing 5.42 carats. 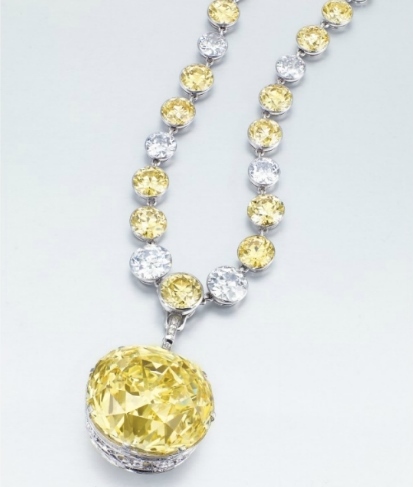 A unique Belle Epoque 52.26 carats cushion-shaped fancy intense yellow diamond and diamond pendant necklace. Estimate: HK$12,000,000 – HK$18,000,000 ($1,555,042 – $2,332,562). Photo: Christie’s Images Ltd 2014. 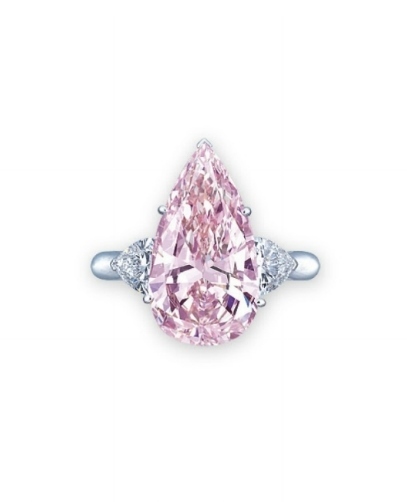 A Type IIa 5.42 carats pear-shaped fancy pink diamond and diamond ring. Estimate: HK$6,400,000 – HK$9,500,000 ($829,356 – $1,231,075). Photo: Christie’s Images Ltd 2014. Also accompanied by a supplemental letter from the Gemological Institute of America stating that the 5.42 carat diamond has been determined to be Type IIa. Type IIa diamonds are the most chemically pure type of diamond and often have exceptional optical transparency. Type IIa diamonds were first identified as originating from India (particularly from the Golconda region) but have since been recovered in all major diamond-producing regions of the world. Among famous gem diamonds, the 530.20 carat Cullinan I and the 105.60 carat Koh-I-Noor, Are examples of Type IIa. 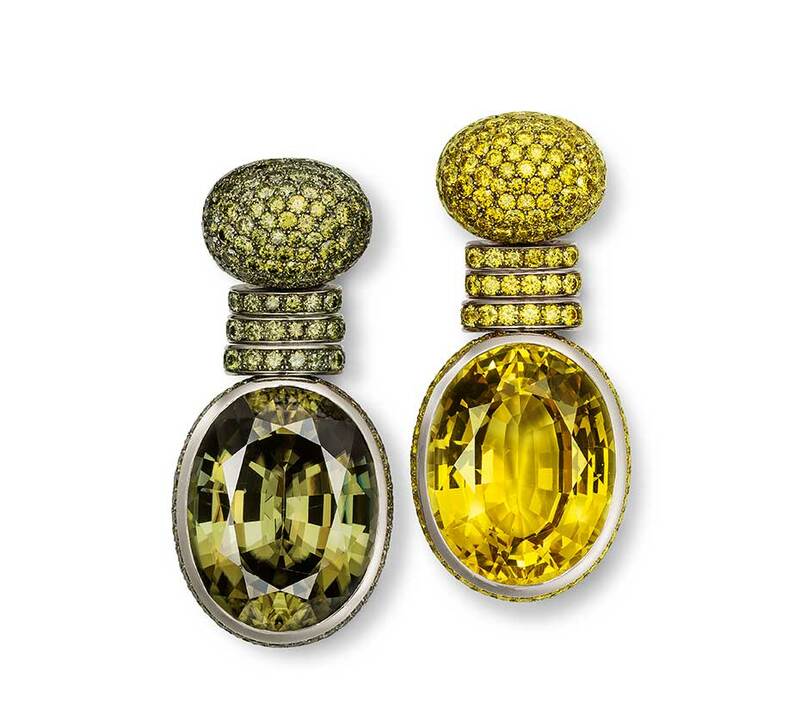 Further adding the dazzle is a colourful array of gemstones. The sale presents another showstopper from the pigeon’s blood red ruby family: a superb pair of Burmese no heat red ruby and diamond ear pendants, weighing 4.25 and 4.18 carats, respectively. 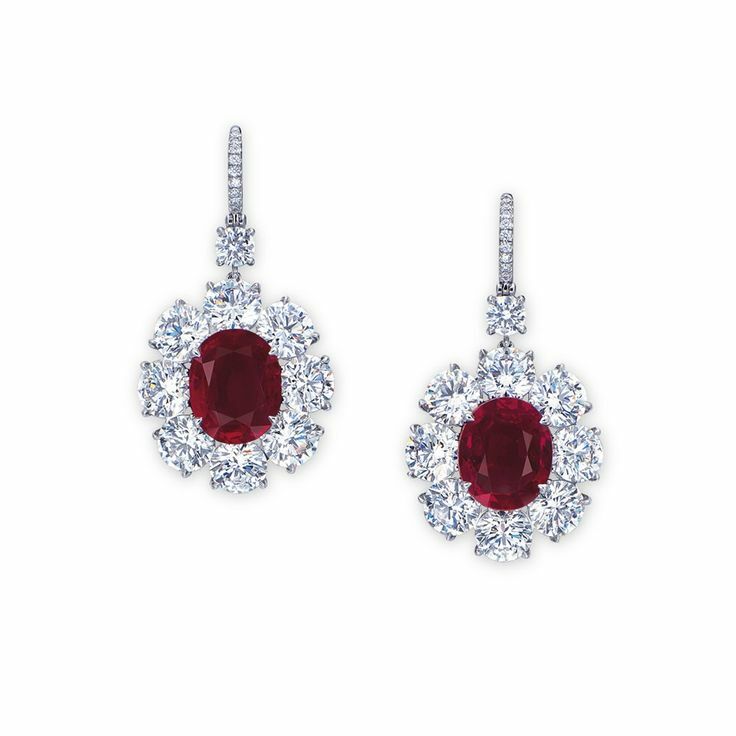 A superb pair of Burmese No Heat Pigeon’s Blood Red oval-shaped ruby and diamond ear pendants. Estimate: HK$20,000,000 – HK$30,000,000 ($2,591,736 – $3,887,604). Photo: Christie’s Images Ltd 2014. Also accompanied by reports Nos. 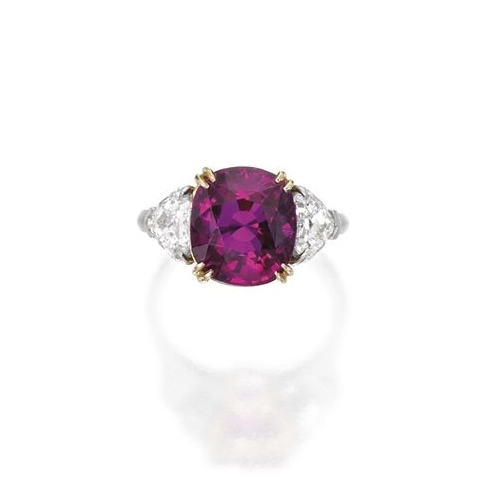 cs 59154 and cs 61773 dated 21 february 2014 and 17 june 2014 from the American Gemological Laboratories stating that based on available gemological information, it is the opinion of the laboratory that the rubies weighing 4.25 and 4.18 carat are natural, the origin of this material would be classified as classic Burma (Myanmar), no gemological evidence of heat, clarity enhancement: none; also accompanied by two letters stating that the 4.25 and 4.18 carat rubies are exemplary of why Burma is considered the premier ruby source. it possesses all the quintessential gemological characteristics that permit the acclaimed provenance of Burma and the Mogok valley to be conclusively determined. 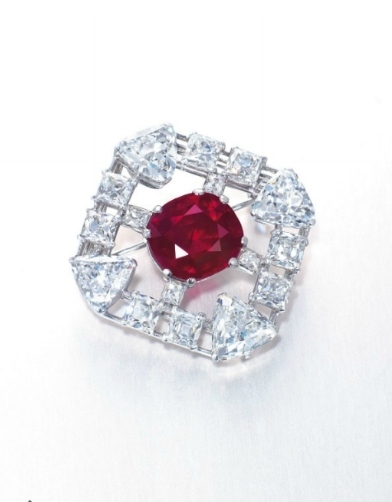 In addition, the rubies possess an intense and homogeneous ‘Pigeon Blood’ red colour. gem burmese rubies of such provenance, quality and size are rare. Meanwhile, an exceptional Colombian no oil emerald also takes the spotlight. 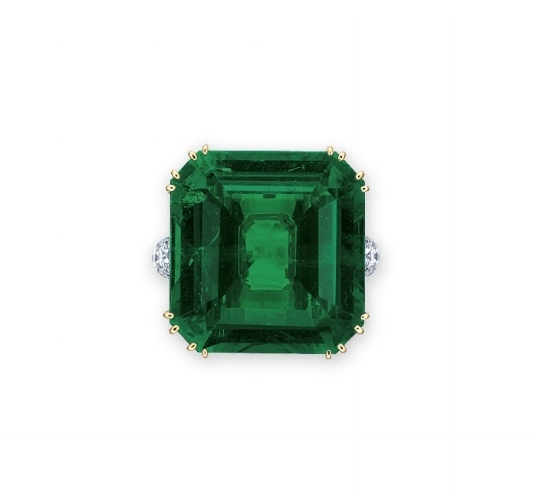 Made by one of Asia’s leading jewellers, Japanese designer Gimel, the present lot is made of the supreme Colombian emerald, which is hugely coveted for its unrivalled colour, fire and intensity. The emerald weighs an impressive 20.69 carats and is in well saturated green colour, while showing no indication of clarity modification, making it a rare find. 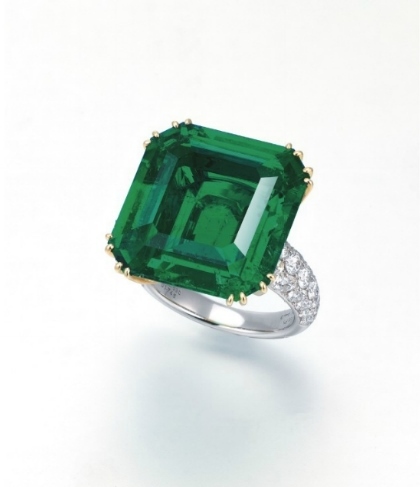 An exceptional 20.69 carats Colombian octagonal-shaped emerald and diamond ring, by Gimel. Estimate: HK$12,000,000 – HK$18,000,000 ($1,555,042 – $2,332,562). Photo: Christie’s Images Ltd 2014. Also accompanied by report no. CS 82258 dated 5 November 2012 from the American Gemological Laboratories stating that based on available gemological information, it is the opinion of the Laboratory that the emerald weighing 20.69 carat is natural, the origin of this material would be classified as Classic Colombia, clarity enhancement: none. In addition, sapphire lovers will be delighted to see two brilliant blue beauties, a 101.32 carats Ceylon no heat sapphire by Chatila and a magnificent 19.36 carats cushion-shaped Kashmir sapphire. Located high in the Himalayas, the mines of Kashmir have sourced the world’s finest and most sought-after sapphires whose unrivalled cornflower blue ensures its position as the most desirable sapphire on the market. 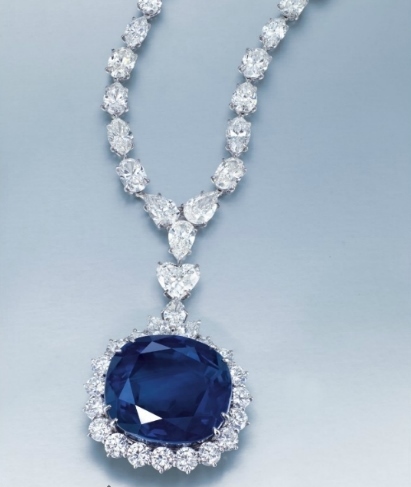 A magnificent 101.32 carats Ceylon cushion-shaped sapphire and diamond pendant necklace, by Chatila. Estimate: HK$12,000,000 – HK$18,000,000 ($1,555,042 – $2,332,562). Photo: Christie’s Images Ltd 2014. Accompanied by report No. 72374 dated 2 september 2014 from the SSEF Swiss Gemmological Institute stating that the 101.32 carat sapphire is of Ceylon (Sri Lanka) origin, with no indications of heating; Also accompanied by an appendix stating that the sapphire possesses extraordinary characteristics and merits special mention and appreciation. 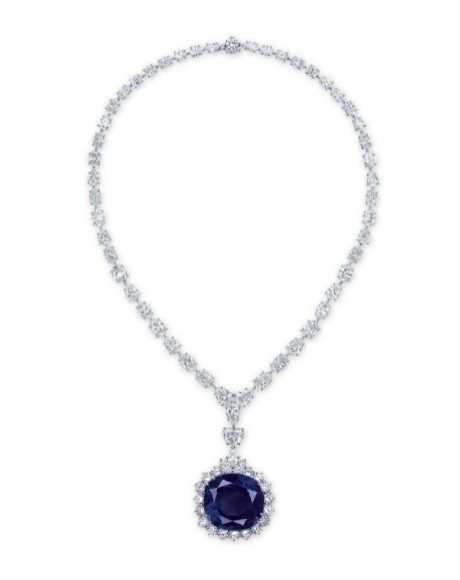 The sapphire exhibits a very impressive size and weight, combined with attractive colour and an outstanding purity. The few inclusions found by microscopic examination are consistent with those found in sapphires from the classical mines in Ceylon (Sri Lanka) – also known as the island of gems. Its attractive colour is due to a combination of well-balanced trace elements in the gemstone, typical and characteristics for the finest sapphires of Ceylon. This sapphire has been spared exposure to heat treatment and its clarity and colour are thus all natural. a natural sapphire from Ceylon of this size and quality is very rare and exceptional. 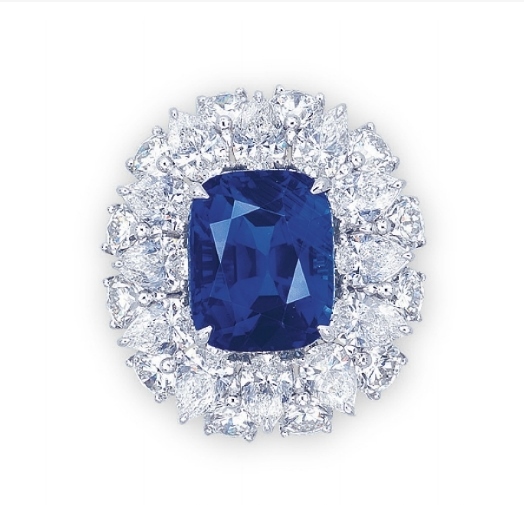 A rare 19.36 carats Kashmir cushion-shaped sapphire and diamond ring. Estimate: HK$22,000,000 – HK$30,000,000 ($2,850,910 – $3,887,604). Photo: Christie’s Images Ltd 2014. Accompanied by premium report No. 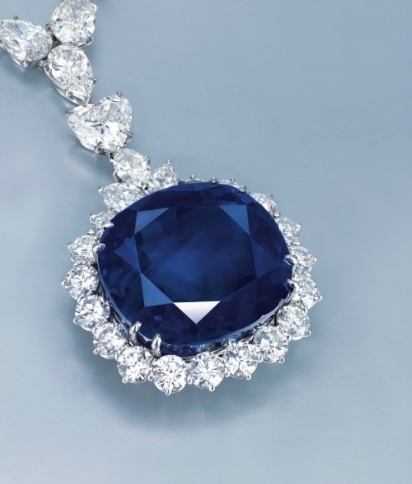 76058 dated 3 september 2014 from the SSEF Swiss Gemmological Institute stating that the 19.36 carat sapphire is of Kashmir origin, with no indications of heating; Also accompanied by an appendix stating that the natural sapphire possesses extraordinary characteristics and merits a special mention and appreciation. The sapphire exhibits a remarkable size and weight, combined with an attractive saturated blue colour and a very fine purity. The few inclusions found by microscopic examination are the hallmarks of sapphires from the reputed historic deposit in Kashmir, located in a remote part of the Himalayan mountains in India. The velvety blue colour of this sapphire is due to very fine and subtle inclusions and a combination of well-balanced trace elements in the gemstone, typical and characteristic for the finest sapphires of Kashmir. 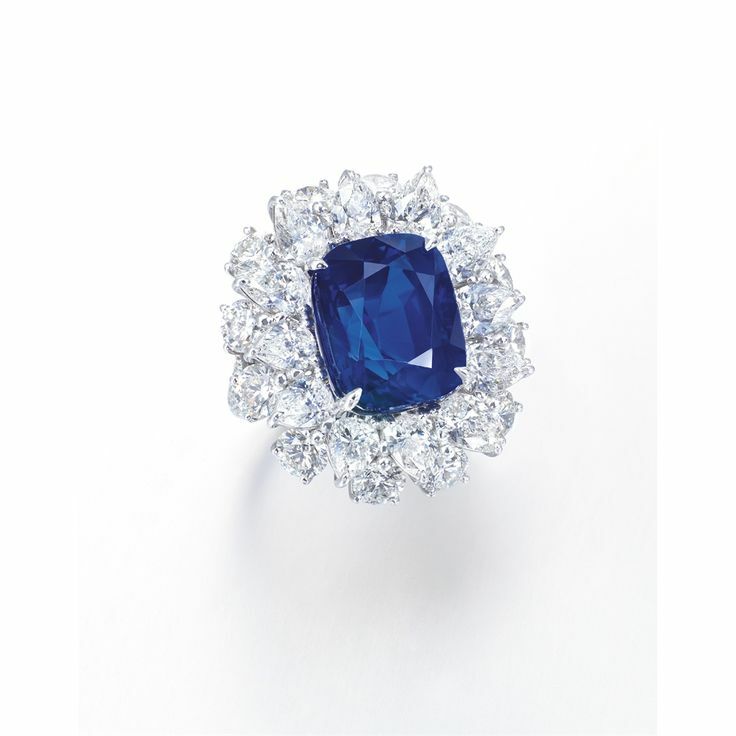 The sapphire has been spared exposure to heat treatment and its clarity and colour are thus all natural. A natural sapphire from Kashmir of this size and quality is very rare and thus can be considered a true treasure of nature. Also accompanied by report No. cs 44144 dated 14 june 2013 from the American Gemological Laboratories stating that based on available gemological information, it is the opinion of the laboratory that the sapphire weighing 19.36 carats is natural, the origin of this material would be classified as classic Kashmir, heat enhancement: none, clarity enhancement: none; Also accompanied by a jewel folio from AGL stating that the 19.36 ct classic Kashmir sapphire possessing a combination of attributes as fine colour, uncommon clarity, well-proportioned cut, and large size, is exceeding rare. Also accompanied by report No. 13075207 Dated 24 July 2013 From The Gübelin Gemmological Laboratory stating that the 19.36 carat sapphire is of Kashmir origin, with no indications of heating; Also accompanied by an appendix stating that the 19.36 carat sapphire possesses a richly saturated and homogeneous colour, combined with a high degree of transparency, and a finely proportioned cut. In addition, this remarkable gemstone has been spared of thermal treatment. 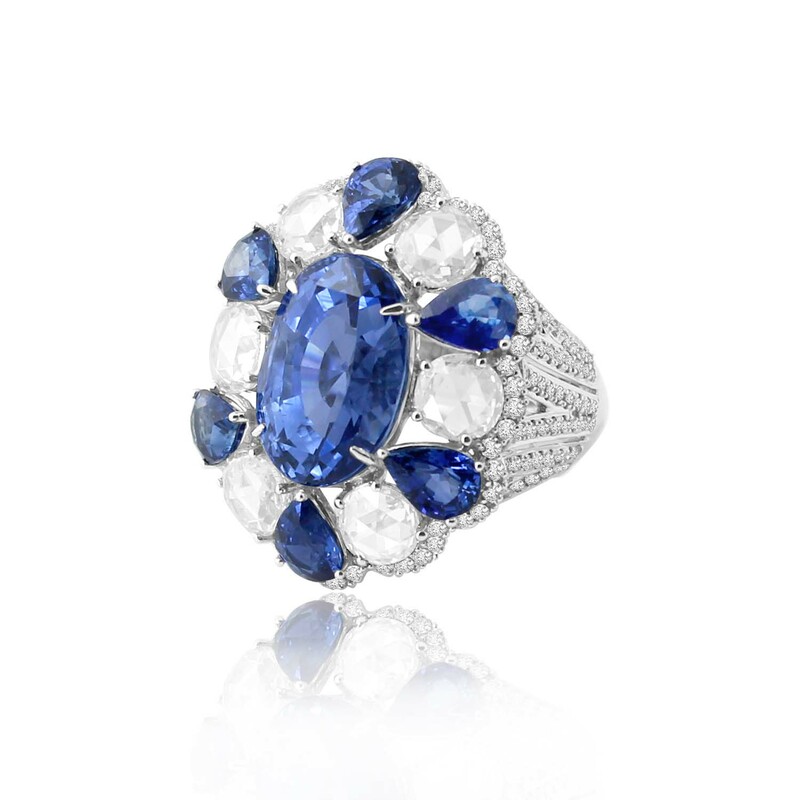 Such a combination of characteristics is rare in natural sapphires of this size. Jadeite continues to be a pivotal part of the jewellery auction at Christie’s Hong Kong. Particularly popular in various Asian regions, jadeite is commonly assessed and categorised by its colour, translucency, texture and cut. High quality jadeite must be not treated at all, and shall display a harmonious combination of tone, saturation, evenness and hue. A trio of notable lots embodies these elements, including a magnificent pair of jadeite and diamond ear studs, a jadeite bead and diamond necklace and a jadeite bangle. Due to the fact that most pearls in the market are cultured, top quality natural salt water pearls are greatly sought-after today. 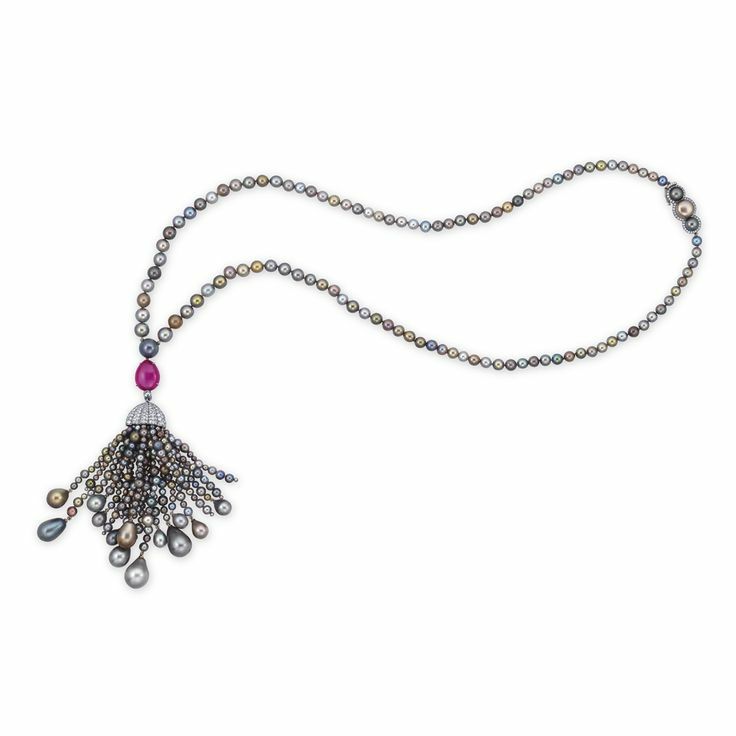 Such rare gem can be found at this auction—an exquisite natural coloured pearl, ruby and diamond pendant necklace (Estimates: HK$16,000,000-25,000,000 / US$2,000,000-3,200,000). 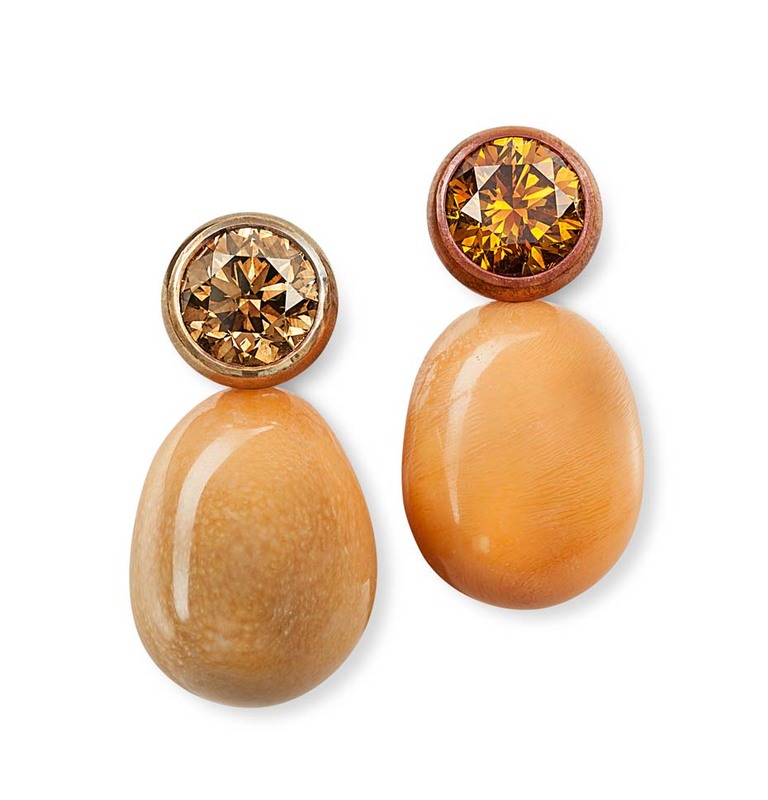 The combination of the three gemstones contributes to the piece’s aesthetic appeal, while the pearls’ large size and good lustre add to its value. 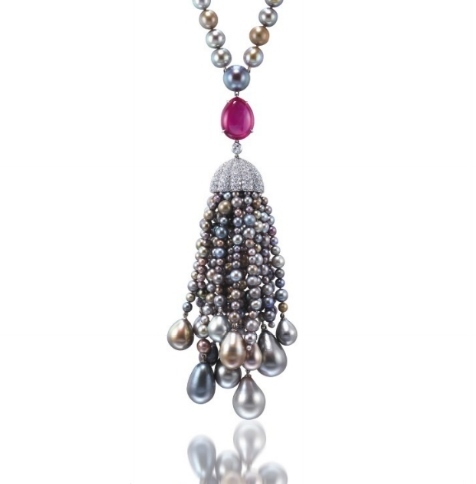 An exquisite natural coloured pearl, ruby and diamond pendant necklace. Estimate: HK$16,000,000 – HK$25,000,000 ($2,073,389 – $3,239,670). Photo: Christie’s Images Ltd 2014. Accompanied by premium report No. 76783 dated 1 october 2014 from the SSEF Swiss Gemmological Institute stating that the 13.54 carat ruby is of Burma (Myanmar) origin and the analysed properties confirm the authenticity of a majority of these pearls to be saltwater natural pearls; Also accompanied by an appendix stating that the pearl necklace possesses extraordinary characteristics and merits special mention and appreciation. The described necklace is very impressive in its design. 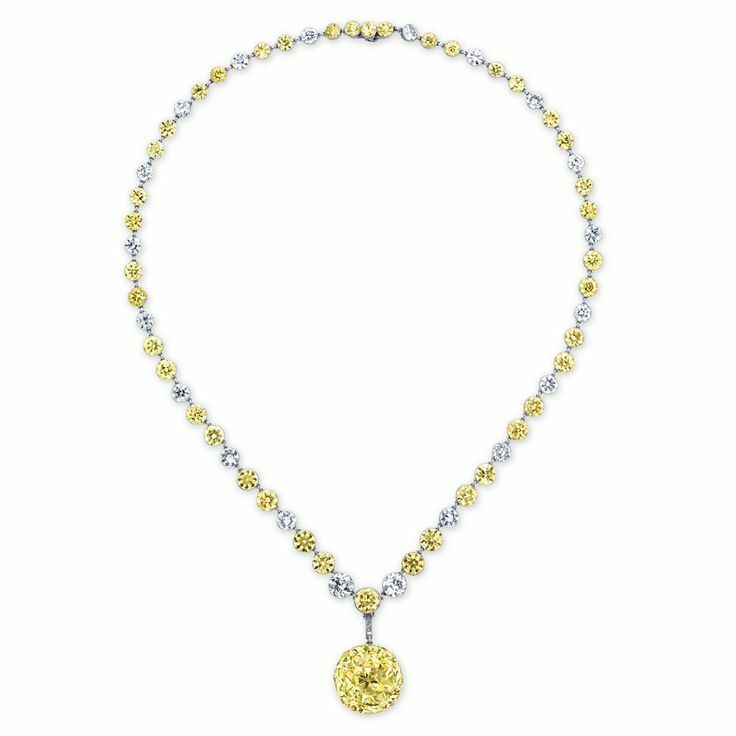 The natural pearls for this necklace have been carefully selected and exhibit attractive round and drop shapes, combined with a very fine and smooth pearl lustre. Their colour subtly varies in different shades of grey and brown, partly combined with a highly attractive rosé, purple and green overtones. These overtones-poetically also referred to as the orient of pearls-are due to an iridescence effect caused on the surface of pearls and greatly contribute to the exceptional beauty of this pearl necklace. assembling a matching selection of saltwater natural pearls of this size and quality is very rare, and thus the described pearl necklace with its combination of outstanding characteristics can be considered a very exceptional treasure of nature. Accompanied by report No. 11110110 dated 22 november 2011 from the Gübelin Gemmological Laboratory stating that the 13.54 carat ruby is of Burma (Myanmar) origin, with no indications of heating.